SATURDAY UPDATE: A SCHOOL student sent Bundaberg State High School into lockdown yesterday after police responded to reports he was allegedly brandishing a knife on school grounds. Bundaberg State High School principal Karen McCord said initial reports of the knife were false and the school went into lockdown as a precaution only. "I can confirm that these claims were unsubstantiated and there was no knife on school grounds," she said. "The school is aware that some students have incorrectly reported these events on social media." Ms McCord said parents were notified of the lock down via text message as soon as school staff were able to do so. 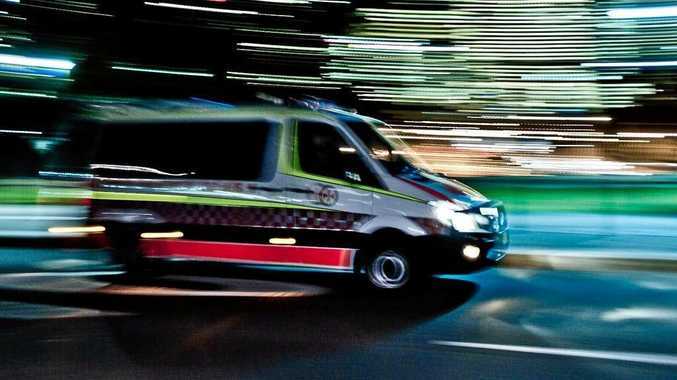 Bundaberg residents Jemma Bell and Matthew Johnson were sitting across the road at a friend's house when they witnessed the commotion. "All of a sudden the paddy wagon turned up and about four cop cars and a detective car and all we heard was some fella with a Mickey Mouse hat was brandishing a knife," Mr Johnson said. Ms Bell said Bundaberg State High School students were on the oval when sirens were set off. "The students were on the oval just playing and doing sports and stuff and then the cops all rocked up," Ms Bell said. "The sirens went off and they were told to grab their bags and they went into a lockdown." Police apprehended the student at about 11.45am. There will be no further investigations. 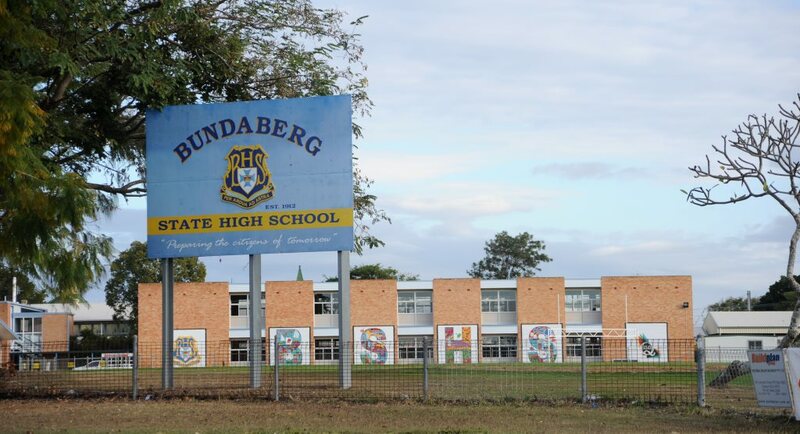 UPDATE 12.30PM: Bundaberg High is believed to be operating as usual following dramatic scenes where police apprehended a teenager believed to be brandishing a knife. UPDATE 12.20PM: Jemma Bell and Matthew Johnson were sitting across the road at a friend's house when they witnessed the commotion. "All of a sudden the paddy wagon turned up and about four cop cars and a detective car and all we heard was some fella with a Mickey Mouse hat was brandashing a knife," Mr Johnson said. Ms Bell said Bundaberg State High School students were on the oval when evacuation sirens were alarmed. "The sirens went off and they were told to grab their bags and they went into a lock down." UPDATE 11.45AM: A teenage boy has been apprehended at Bundaberg High School and is being searched by police. The school is in lock down. 11.30AM: A 13-year-old school student is reported to be brandishing a knife at Bundaberg State High School. Bundaberg Police a responding to the reports now.